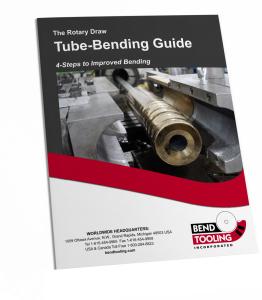 The extension of the bend die cavity past the vertical centerline of the tube which is the defining feature of the captive-lip cavity design. The typical length of this lip is 6% of the tube diameter. The no-lip cavity design is actually a negative lip; the mating face of the cavity is relieved from the vertical centerline of the tube usually by 1% of the tube diameter.